We specialize in orthodontics, which includes the health and well-being of those we treat. With 40 years of experience and over 10,000 patients, we have the expertise and skill to produce top-notch results and superior products such as mouthguards. By using our custom mouthguards, we can provide our young athletes the highest quality in protective equipment. Not only will the mouthguards be safer and more comfortable, they are custom designed and personalized with your choice of colors and logos. We are also partnered with Shock Doctor which is the #1 mouthguard company in the world. This allows us to also offer the best "non-custom" mouthguards on the market, providing our patients with the premier mouthguard options to best fit their safety needs. Mouthguards are an often-overlooked safety tool in sports of all kinds, and unfortunately, most people only realize this after an injury has taken place. A properly-fitted mouthguard is able to protect the teeth and jaw from sudden impacts, and a custom-fitted one offers even more security and comfort. Read on below to learn more about the benefits of the mouthguards available here at Hart Orthodontics. Mouthguards protect against injury to the teeth and also against injury to the jaw. The shape of each person’s mouth and teeth are different, so it makes sense that a one-size-fits-all approach to a mouthguard is not going to give you the protection you need. In fact, a poorly fitted mouthguard can cause even more damage when hit with an intense force. Properly fabricated, custom-fitted mouthguards play a significant role in not only preventing dental injuries and injuries to the jaw, but also in reducing concussions, pulpal injury and the loss of teeth. Mouthguards are used to relieve the stress concentrated on the teeth by absorbing the shock vibrations that cause injury. This is the type of mouthguard you’ll most often find on the shelves of sporting goods and department stores. These devices are usually made of rubber or polyvinyl, and they are typically the least expensive option because they also provide the least protection and comfort. These preformed guards are available only in a limited number of sizes, leading to a fit that can make it difficult for the wearer to breathe, speak clearly, and it may even cause them to gag. They also require that the jaw be closed in order to stay in place, which can lead to tension in the face that radiates upwards to cause frequent headaches. These are usually made of a thermoplastic material, that when placed in boiling water, can be fitted and formed to an individual’s mouth with the use of the lips, tongue, cheeks, and a firm bite. They do not have enough thickness to provide adequate protection, and they deteriorate quickly over time, often before the end of a season. And, because the fit regularly turns out not quite right, a player is required to clench their jaw to keep it in place. Despite fitting better than stock mouthguards, they can still be quite bulky and uncomfortable. Our premium custom mouthguards are designed by our qualified dental specialist to provide the optimal comfort and protection an athlete needs for all of their teeth and their orthodontics. Dr. Hart designs his mouthguards with consideration of a patient’s dental history, which sport(s) they regularly play, and their history of concussions. For example, if an athlete plays a sport that doesn’t have a high chance of traumatic contact to the teeth (such as tennis), then the overall design of the mouthguard can be thinner, consisting of a single layer of ethylene vinyl acetate (EVA). Multiple layer mouthguards, however, are best for those who regularly play heavy contact sports like football. They consist of multiple sheets of EVA that are laminated using high heat and pressure to ensure their strength, accuracy, longevity, and comfort. To ensure an even higher-quality product and shorter turnaround times, we fabricate all of our mouthguards in-house in our own lab. When making a custom mouthguard, we start by taking a digital scan of your teeth to create a highly-detailed model of your mouth. This model is then brought into the real world thanks to our 3D printer. The mouthguard is then vacuum-formed on this model, and then any unwanted or excess material is removed to create a snug but secure fit that is perfectly suited to a patient. If they have braces or a fixed appliance, their mouthguard can be molded around them so it protects both their teeth and the treatment. 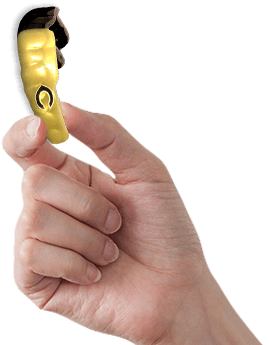 Our mouthguards are able to stay in place without the mouth needing to be closed, which makes breathing, talking, and swallowing much easier. Needless to say, our mouthguards are much more comfortable than non-custom ones, which makes them much more likely to be worn. Particularly for children, this comfort is extremely important, as it makes them less likely to take their mouthguard out or “forget” it in their bag. In addition to providing adequate protection for all of the teeth and any orthodontic appliances present in the mouth, our custom-fitted mouthguards also have adequate thickness to cushion the jaw. So, if the jaw is suddenly forced upward for any reason, this won’t cause damage to the teeth. By placing a protective barrier between the jaws, mouthguards are also able to reduce the risk of concussion. If you’ve kept up with the news lately, you’ve seen that concussions are an increasing risk for athletes of all ages and levels of play, and mouthguards provide a very effective and affordable preventive measure that can shield more than just the teeth. Sports injuries can cause lasting damage. Being pro-active and wearing a mouthguard before an injury takes place can save you in costly dental reconstructive services down the road. While your cheapest option of a mouthguard will be a stock pre-formed or boil-and-bite one from the local department store, you will also get cheap coverage and comfort. It goes beyond just the possibility of losing a tooth. Some jaw and neck injuries can prevent an athlete from ever playing sports again. This does not just pertain to professional sports. High school and college football players are just as likely to obtain a facial injury as an NFL player. Getting a serious injury, like a concussion or broken jaw, during these years can drastically change a person’s future. It is estimated that an athlete has over a 50 percent chance of receiving an oral injury during their career in sports. A properly fitted mouthguard will reduce the opportunity for injury and also the severity of injury. Every year, more than 5 million teeth are injured or knocked out during sports, which results in nearly 500 million dollars spent on replacing/repairing them! About 40% of all dental injuries are sports-related injuries. The biggest percentage of traumatic dental injuries in teens is due to sports. More than 600,000 emergency room visits are made each year due to sports-related dental injuries. Around 50% of young children and teens will experience at least one traumatic tooth injury by the time they graduate from high school. Dental injuries are 3X more likely to occur due to sports compared to violence or traffic accidents. When not wearing a mouthguard, an athlete is 60X more likely to suffer a dental or facial injury! More than 200,000 injuries are prevented every year thanks to mouthguards. A properly-fitted mouthguard is able to protect the teeth as well as the lips, tongue, and cheeks. Athletes who use non-custom mouthguards are 2X as likely to experience a concussion as those who wear a custom-designed one.